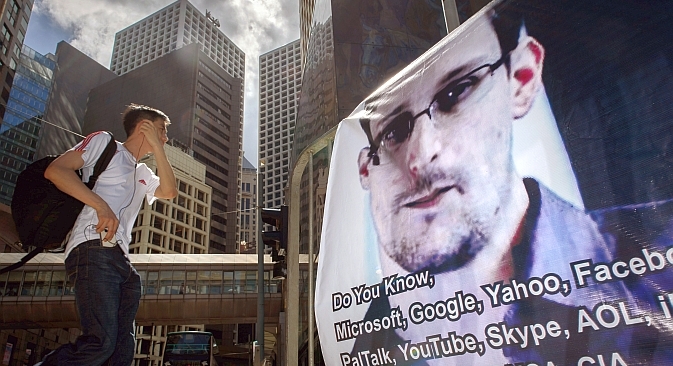 Snowden’s saga: Whistleblower, hero, traitor or spy? Russia Direct interviewed Russian and American pundits about how they regard former CIA agent Edward Snowden: Is he a national hero or a national traitor? While Edward Snowden, a former CIA agent and a NSA contractor, bides his time in Moscow’s Sheremetyevo Airport, Russian and American pundits and observers express their opinions regarding how the Snowden case may affect U.S.-Russia relations. The case of Edward Snowden, a former CIA employee and National Security Agency contractor, has fueled an international debate about the powerful surveillance programs created by security services to combat terrorism. At the same time, the case has been characterized as an attack on whistleblowers, following in the footsteps of Wikileaks editor and founder Julian Assange who sought refuge in the Ecuadoran Embassy in London. After publishing secret U.S. diplomatic cables and war logs, Assange was charged with sexual assault in Sweden and extradited by Britain. Edward Snowden remains in the transit zone of Moscow’s Sheremetyevo Airport, according to Russian media reports, because he cannot buy a new plane ticket as the U.S. has revoked his passport. On June 25 Russian President Vladimir Putin confirmed that Snowden was still in the airport. The Russian leader dismissed accusations that Russia aided Snowden’s arrival to the Russian capital as absurd. "Mr. Snowden did arrive in Moscow. It came as a complete surprise for us," he said at a press conference in Turku following talks with his Finnish counterpart Sauli Niinisto. "He arrived as a transit passenger. He does not need a visa or any other documents." "As a transit passenger he has the right to buy a ticket and fly wherever he wants. He did not cross the state border, therefore he does not need a visa," the president stressed. "Any accusations aimed at Russia are nonsense and absurdity." Putin expressed hopes that this case will not affect U.S.-Russia relations. Meanwhile, Russia Direct interviewed Russian and American pundits about how they regard Edward Snowden: Is he a national hero or a national traitor? Edward Snowden can be regarded either as a traitor or as a national hero. While some circles call him a person who betrays national interests, others see him as a man who challenges the state. I think that Russia shouldn’t extradite Snowden. By no means does it have to send him to the U.S. It would be disgraceful before the rest of the world because a lot of people admire him. After all, Snowden wasn’t engaged in espionage, he just revealed important information. The extradition of Snowden would hit Russia’s image abroad a great deal and prove that that Moscow pursues mercantile goals. The case shouldn’t be a matter of bargain. At the same time, we shouldn’t provide him political asylum because it may severely affect U.S.-Russia relations. For Moscow it would be reasonable if another country provided him political refuge. After all, he didn’t collaborate with Russia’s special services and they have no interest in him. At best the Russian authorities can use the Snowden case as a tool of propaganda: for example, Moscow can accuse Washington of chasing a whistleblower who defends the freedom of speech. The Snowden case is hardly likely to affect U.S.-Russia relations if he leaves Russia [for another country]. Yet if he gets stuck in Russia this may be another burden for the U.S. and Russia. He would have been a hero if he had stayed in the United States to stand trial. Snowden provided important information to the American people about governmental invasion of the people's privacy, but he also broke the law. Russia should extradite Snowden. If Russia doesn't extradite Snowden, Russia will be viewed in the U.S. as harboring a person who is fleeing our justice system. I don't know if Edward Snowden is a hero as much as someone who did what he thought was right for his country. Although it's been no secret the American government has been collecting the kind of information he confirmed - thanks to some good investigative reporting, statements by some senators and other critics and the government's own admission over the years - his leaks raised the issue to the top of the national agenda. No careless divulger of secrets, Snowden appears to have carefully weighed what documents to release before making a simple, eloquent case that although the state may have done nothing illegal, its actions go against the spirit of the constitution - something Americans deserve to be able to debate in public. Officials in most countries typically claim to act in their national interests, and often they do. But in my experience, open societies require informed populations to remain democracies. His actions raise other debates as well, including the sense of having giving more than a million people, including many non-government employees, top-security clearance. Unfortunately in such cases [like Snowden's extradition], it's impossible to separate proper legal procedure and politics, not to mention moral codes. On the one hand, the White House has come off sounding like a petulant schoolboy unable to get his way over Snowden. On the other, Putin's Russia is no supporter of openness and personal liberty at home. Using Snowden to browbeat Washington for the sake of diplomatic grandstanding is hypocritical. I believe wrongdoers should generally be extradited, but it's a complex question. I don't think Snowden should be sent back to the States because I believe he did the right thing. He would almost certainly be sentenced to at least 40 years in prison as an example to other would-be whistleblowers. I don't think the affair will much affect relations that are already very poor. Both sides come off badly. Russia was already easy to caricature over its Soviet-like support for critics of its perceived adversaries - the Snowden case has only helped in that. But it's clear neither side wants fallout from Snowden's arrival in Moscow to last because both sides know they can easily find themselves on the other side of the coin. I would not do something like that and definitely do not endorse Edward Snowden's actions. However, I do not think we should label him a hero or traitor in a hurry. It looks like the American public is almost equally divided on this issue, so let's cool it and wait until we see all the facts and his real motivations. Definitely, Russia shouldn’t extradite Snowden. This is strictly an American domestic issue and Russia should not meddle in U.S. internal affairs, especially taking into account the deep divisions in the American society itself. Judging from the past, would America return a KGB defector to Russia? As far as I recall, this never happened, not only during Soviet times when we were enemies, but not even during Yeltsin’s time or the current Putin era. Of course, the Snowden case will hurt U.S. - Russia relations substantially, so the sooner this hot potato Snowden leaves Russia to Ecuador or elsewhere the better. As for Russia's image in the U.S., it may actually improve, at least among the 50 percent who consider Snowden to be a hero. This story is abridged from the original version, which was first published at Russia Direct on June 26, 2013.